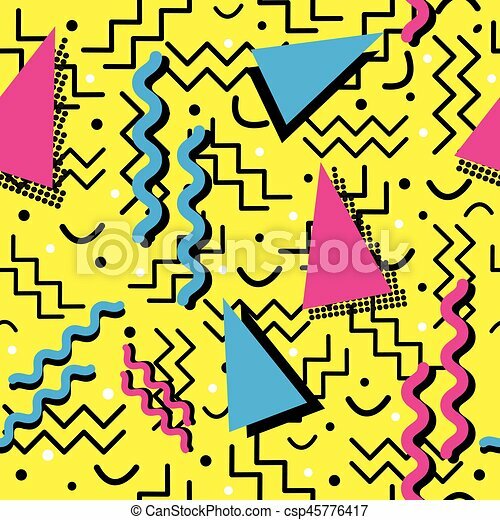 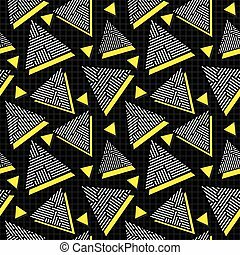 Funky memphis pattern on yellow. 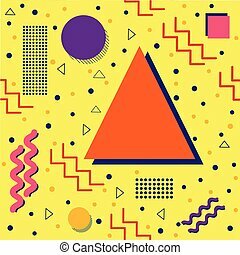 A funky seamless memphis style design with primary colors, over yellow. 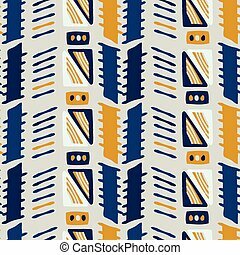 A funky seamless Memphis style design with primary colors, over yellow. 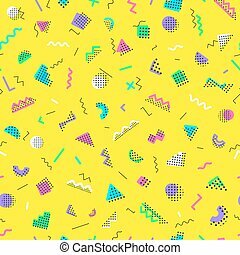 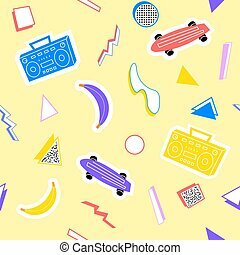 A funky seamless Memphis style design with bright colors, over yellow. 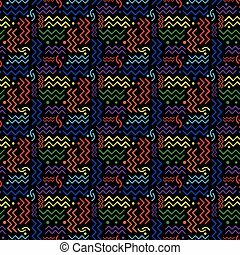 A funky seamless rainbow Memphis style design on black. 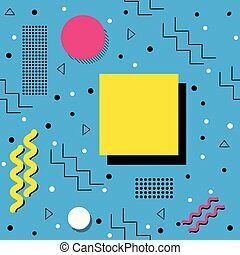 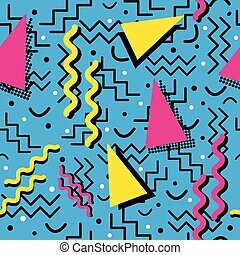 A funky seamless Memphis style design with bright colors, over cyan. 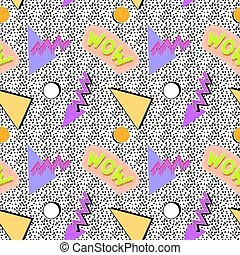 A funky seamless Memphis style design with bright colors, over black. 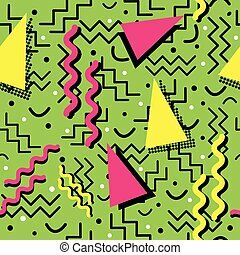 A funky seamless Memphis style design with bright colors, over green. 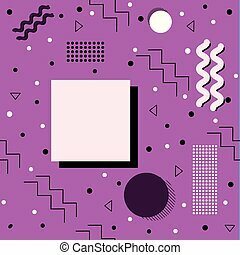 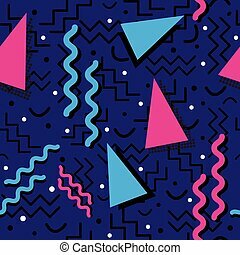 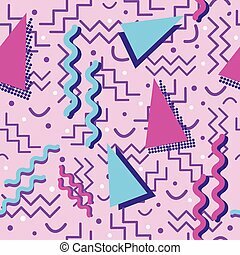 A funky seamless Memphis style design with bright colors, over purple. 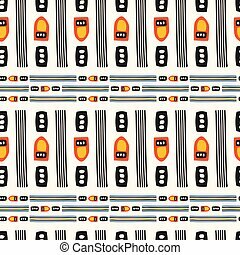 A funky seamless Memphis style design with autumn colors, over brown. 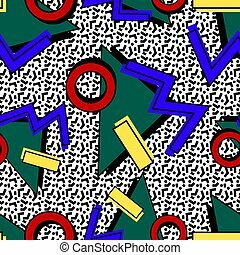 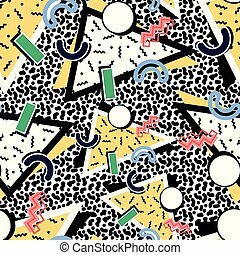 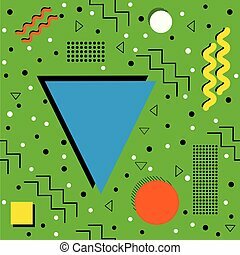 A funky seamless Memphis style design with fun colors, over green. 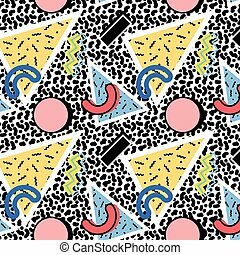 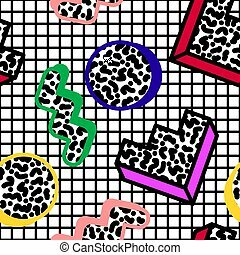 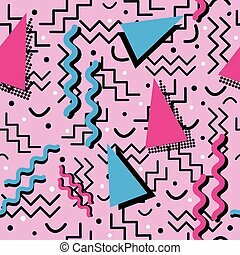 A funky seamless Memphis style design with fun colors, over pink. 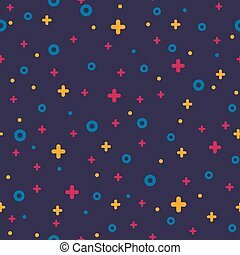 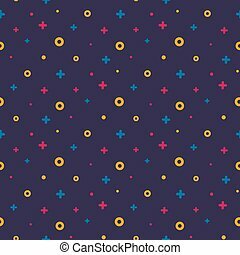 A funky seamless Memphis style design with primary colors, over purple. 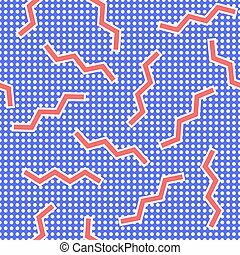 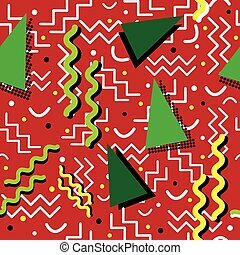 A funky seamless Memphis style design with holiday colors, over red. 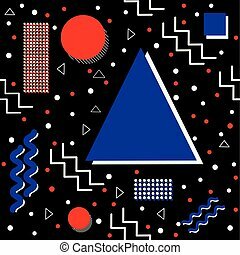 A funky seamless Memphis style design with complementary colors, over midnight blue. 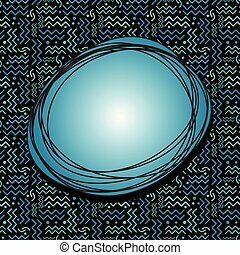 A funky teal scribble speech bubble with bonus background of seamless Memphis style design on black.